There has been a shocking rise in pedestrian deaths in the last few years. When pedestrians are struck by motor vehicles, they are much likelier to be killed than are car occupants. Pedestrians do not have anything to protect them from the physical forces that are released in accidents or from the environment around them. This makes them much more susceptible to suffering catastrophic injuries or deaths when they are in accidents. 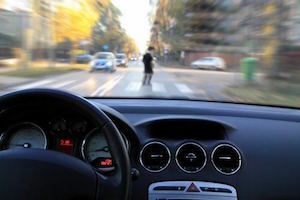 A recent report shows that pedestrian fatalities have sharply increased, and it is important for both pedestrians and motorists to take steps so that they can prevent these types of accidents. According to a report that was released by the Governors Highway Safety Association, an estimated 6,000 pedestrians were killed in the U.S. in 2016. The number of fatalities during the year represented an increase of 22 percent in just two years, far outstripping the increase in auto accidents during the same period. This upward trend in pedestrian fatalities is shocking and shows that a lot of work needs to be done to address it. What is Causing the Increase in Deaths? As we have previously explained, there are many causes of pedestrian accidents in Los Angeles. The city has many streets that are high-volume, multi-lane throughways. When there is traffic congestion on these huge streets, it is easier for drivers to fail to see pedestrians. One study that was completed by the University of California Transportation Center found that pedestrian accidents increase with each additional traffic lane beyond two. Road design is also to blame. Roads are designed to improve traffic flow rather than to make them safer for pedestrians. In Europe, there are far fewer pedestrian accidents because the roads in areas with high numbers of pedestrians have much lower speed limits. Designing roads in this way can help to prevent deaths by keeping drivers from driving at speeds that would be lethal to pedestrians. Some deaths are caused by poor visibility because of cars parked along the roads. Motorists who are approaching crosswalks may fail to see pedestrians as they step into the crosswalks because they are obscured by parked cars. Other crosswalks do not have lights to control them, contributing to accidents. Distracted driving is another large cause of increasing pedestrian death rates. With the advancements of technology, drivers have many new distractions available to them. When drivers talk on their cell phones, check social media, send or read text messages or check the electronics on their dashboards, their attention is taken away from the road, making it likelier that they will strike pedestrians. Pedestrians can take steps to help minimize the risk that they might be involved in an accident while walking. They should never cross the street in its middle and should instead cross at crosswalks or intersections. Pedestrians should also try to make certain that they are visible by wearing brightly colored clothing, including during the day. At night, they should use reflector strips so that they stand out in the darkness. Pedestrians should try to avoid walking in the street and try to stick to sidewalks as much as possible. When they are crossing the street, they should continue to watch for oncoming vehicles. Pedestrians should avoid stepping out into a road from between parked vehicles. They should make certain that cars are not turning right at intersections despite the presence of a sign that says that they should not turn right when the light is red. Drivers should remember that they may encounter pedestrians anywhere on the roads. They should avoid using their cell phones and other electronic devices while they are driving. When drivers approach crosswalks, they need to look in order to make certain that there are not any pedestrians who are crossing. They should always make certain to note people who are walking along the sides of the road so that they can anticipate when the pedestrians might suddenly try to cross at mid-block. Motorists need to follow the posted speed limits and obey all traffic control devices. They should be especially cautious when driving in residential areas or near schools where children might be present. If a pedestrian starts crossing the road, the drivers should yield to the pedestrian even if he or she is not in a crosswalk. Being involved in a pedestrian accident can be devastating. If you are a driver who has hit a pedestrian, you need to call 911 and render first aid to the pedestrian until help arrives. Do not attempt to move the victim unless their safety would be further endangered. Try to set up road flares so that other motorists can avoid the accident scene. If you are a pedestrian who is injured in an accident, seek medical care. You may have suffered more injuries than you might immediately realize. If you can, try to note the driver’s information along with the car’s make, model and license plate number. If there are witnesses to the accident, collect their information as well so that they can be contacted later. When you have been injured, it is important for you to not immediately agree to an offer in settlement. If you do, your ability to seek additional damages for your losses will be foreclosed even if your expenses far exceed what you expected. A personal injury attorney can value your claim so that you understand what a fair settlement would be in your case. Contact an experienced personal injury lawyer in Los Angeles today for help.